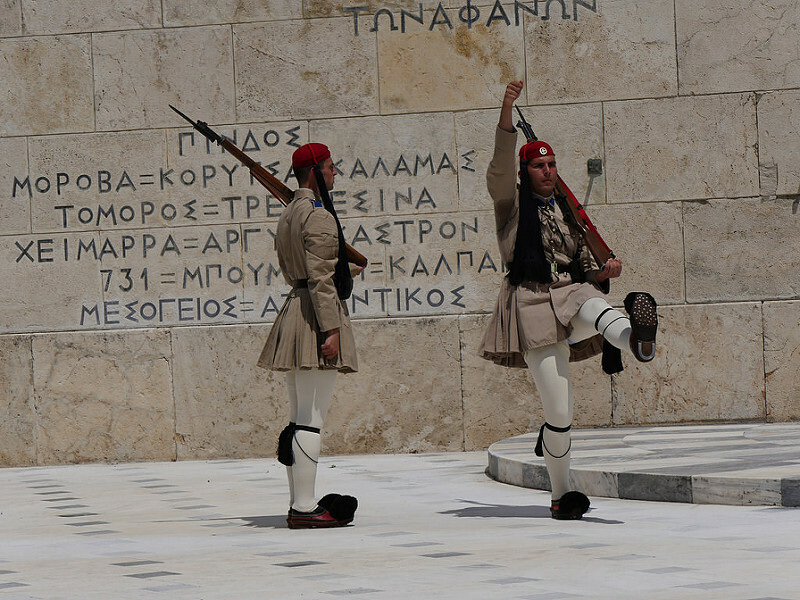 Greece - Photographs - Where in Our World? 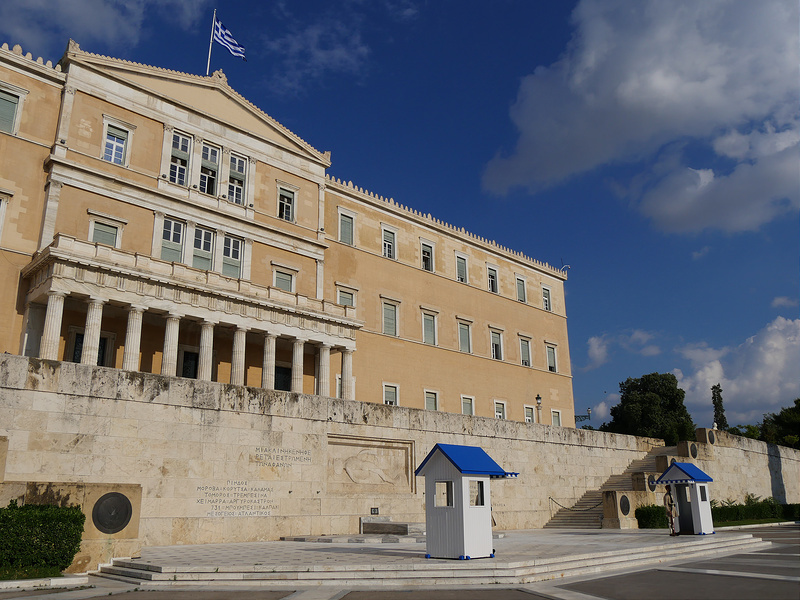 Athens is the capital of Greece. This is the parliament building. 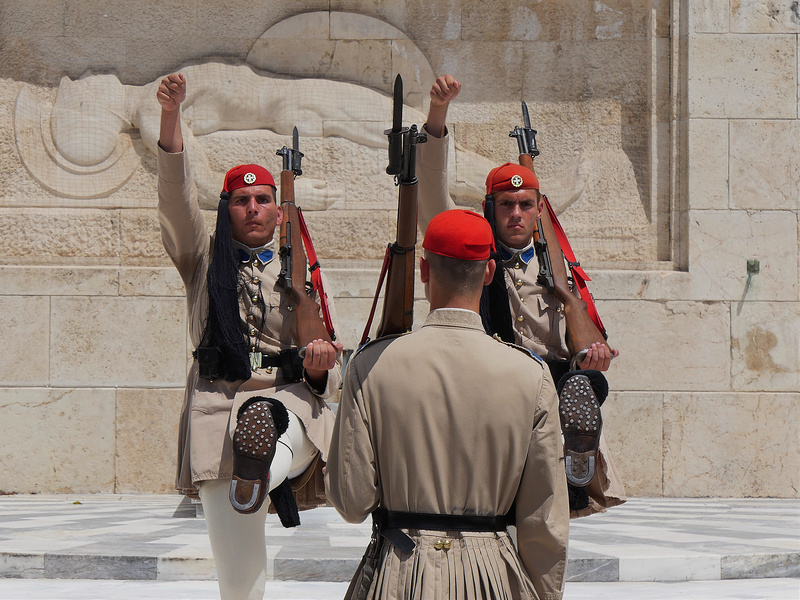 Every hour there is a changing of the guard outside the parliament building, at the tomb of the unknown soldier. 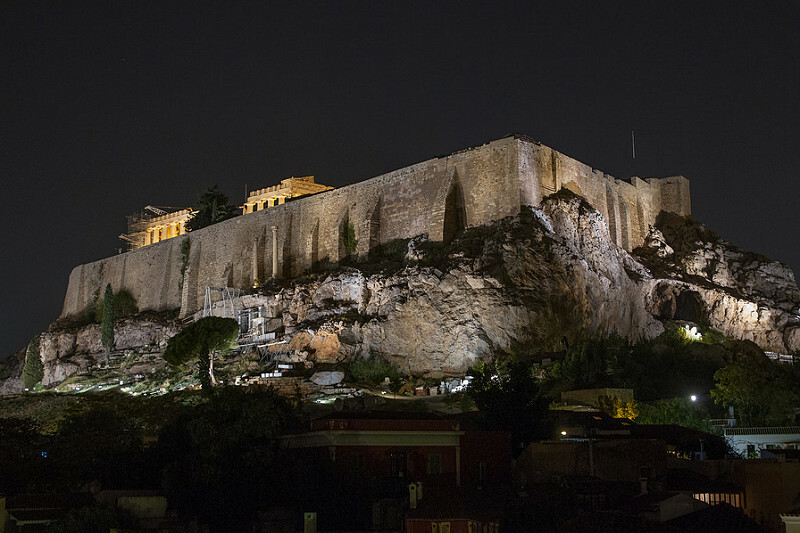 The Acropolis of Athens is the ancient citadel. The acropolis is located on a rocky outcrop above the city. 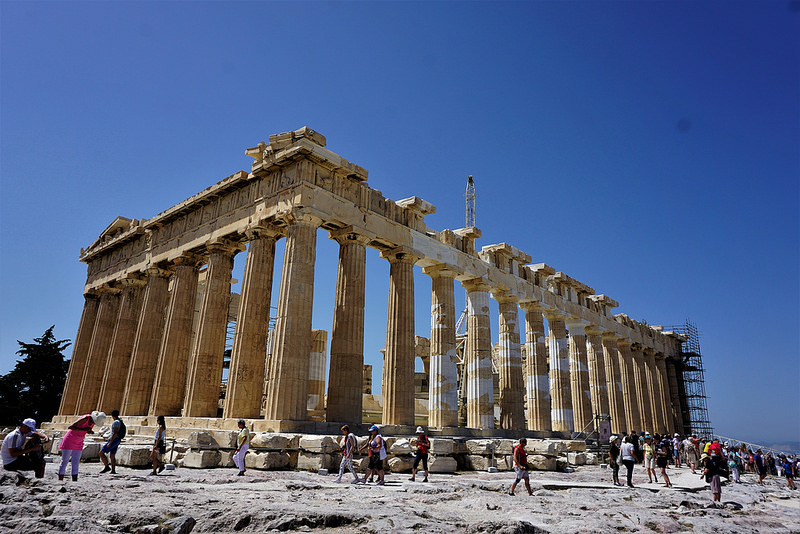 The most famous of the buildings o the acropolis is the Parthenon. The Parthenon is a former temple. 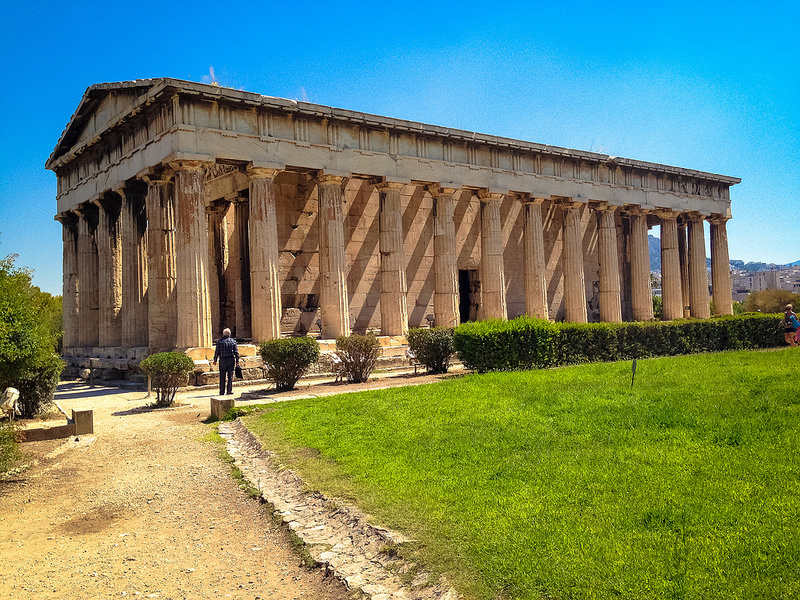 This temple was built to honour the goddess Athena. In ancient times people thought she protected Athens from invaders. 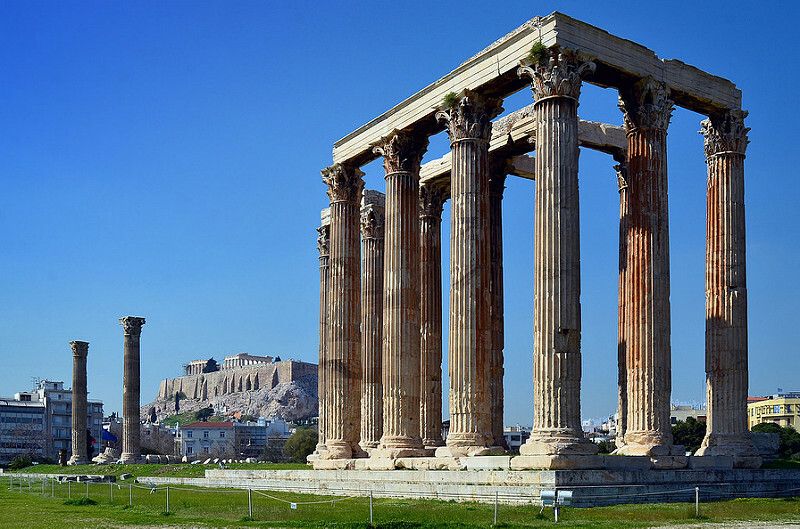 The Temple of Olympian Zeus was a temple that was dedicated to the god Zeus. Zeus was the god of the sky and thunder. He was the king of the gods. The Temple of Hephaestus is another Ancient Greek temple. 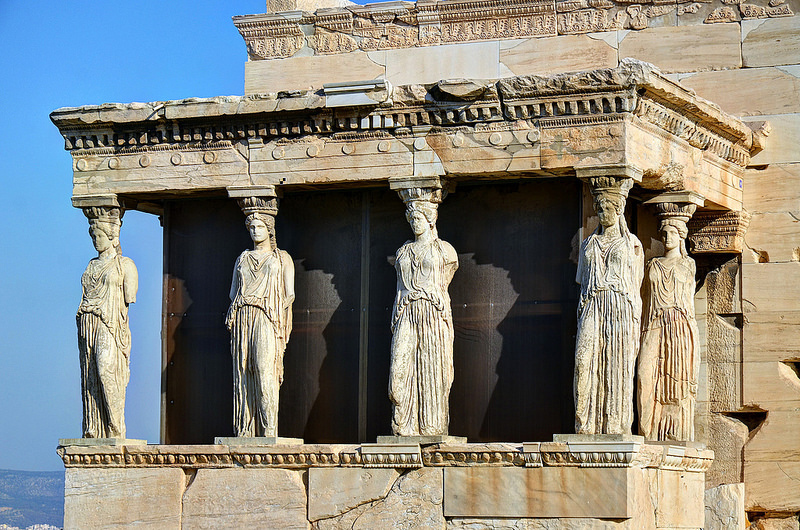 The Erechtheion is the second largest temple on the Acropolis. There is a very unusual porch on this building. There are six beautiful statues of women holding up the roof of the porch. This is the Herod Atticus Odeon. It is a second century theatre. Shows are still performed here. 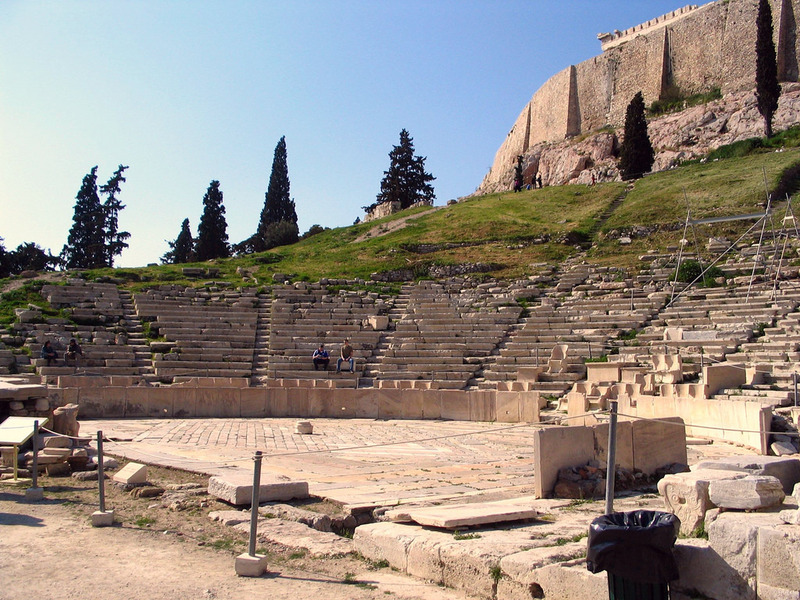 Another ancient theatre is the Theathre of Dionysus. Many artifacts were found on the site of the Acropolis. 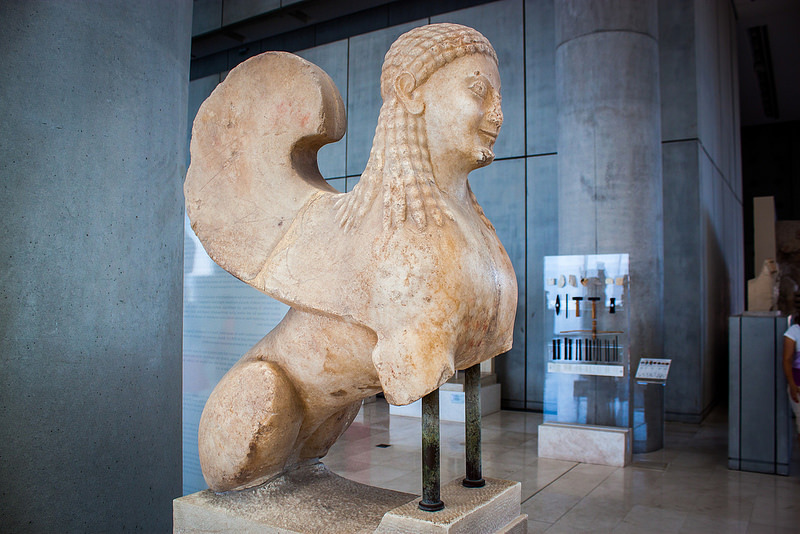 These artifacts are now housed in the Acropolis Museum. The Museum of Cycladic Art houses Cycladic, Ancient Greek and Cypriot art. 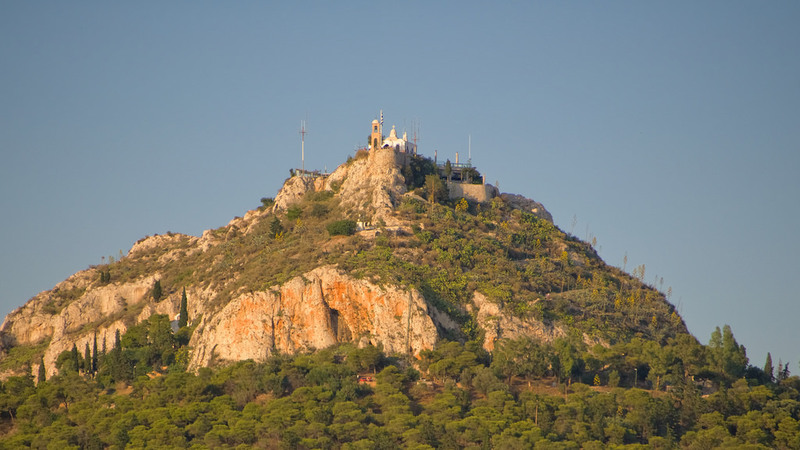 This is Mount Lycabettus. People travel to the top of this mountain to se views of Athens. However, it is a very steep climb so rather than climb the mountain people usually travel by funicular railway. There are many islands around the coast of Greece. 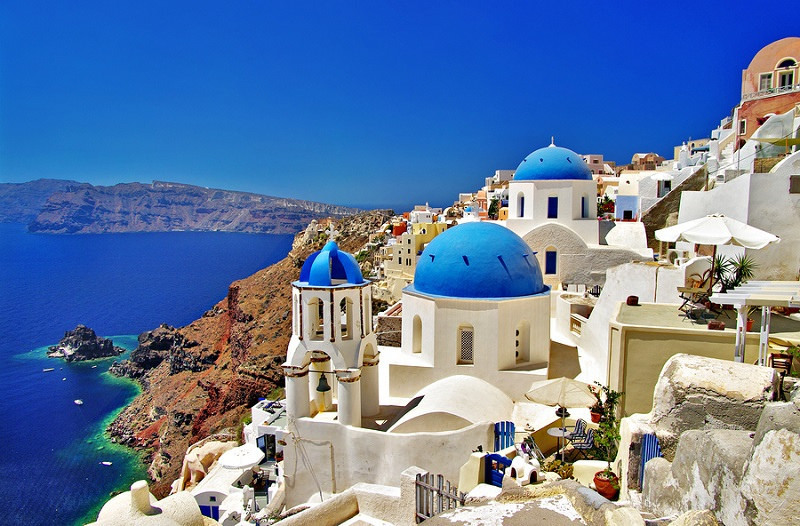 The buildings on Santorini is very beautiful. 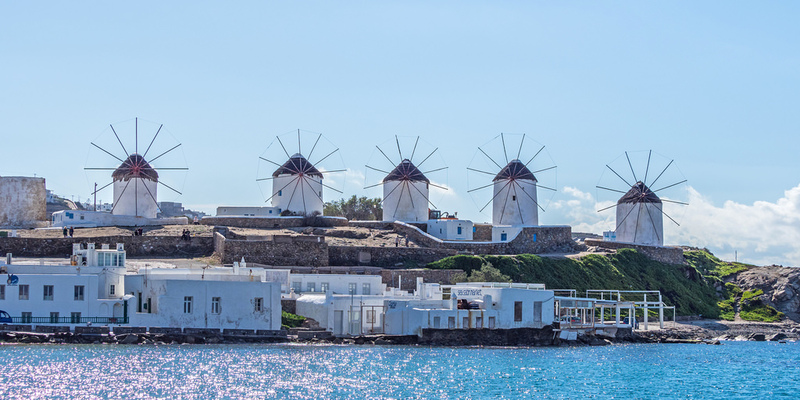 Many of the islands have windmills on them. In the olden days Mykonos was often attacked by pirates so the streets were designed like a maze in order to confuse them. 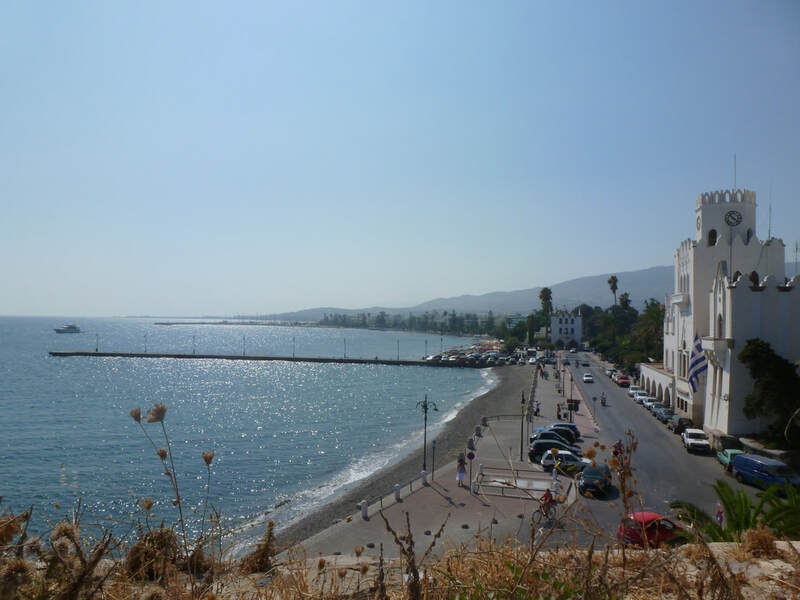 Kos is another popular island. There are many ruins on the island of Kos. Many tourists visit it each year. In ancient Greece, an asclepeion was a temple which was dedicated to the god of medicine, Asclepius. People visited the temple to receive treatment.